The cause of spider veins is not completely known. In many cases they seem to run in families. Identical twins can be affected in the same area of the body and to the same extent. 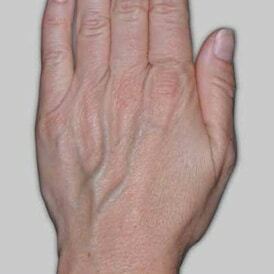 The condition rarely occurs as part of an internal disease. 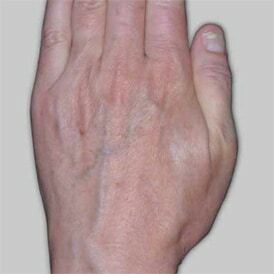 Spider veins appear in both men and women, but more frequently in women. 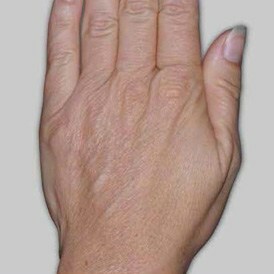 The female hormones may play a role in their development. Puberty, birth control pills, pregnancy, or hormone replacement therapy often seem to bring them out. They may also appear after an injury, or as a result of wearing tight girdles, or form hosiery held up with tight rubber bands. 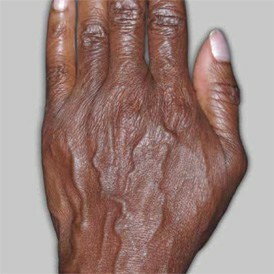 Spider veins may also occur in association with large varicose veins. At Abrams Dermatology we uses sclerotherapy to safely remove unsightly veins. This is a walk-in, walk-out procedure with no anesthetic required. 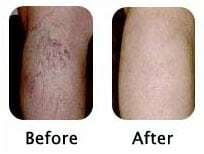 If spider veins are unsightly or uncomfortable, they can be treated with laser, or by injection of a solution that will cause them to disappear or become much smaller. There is about a 50-90 percent chance for a greatly improved appearance. 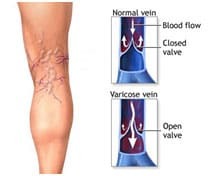 The injection method, a procedure called sclerotherapy is used to treat unwanted blood vessels. One of several kinds of solutions, is injected with a very fine needle directly into the blood vessel. 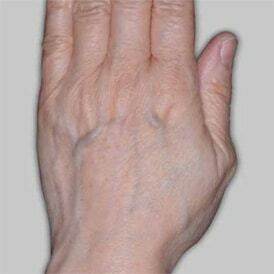 This procedure has been used for spider veins since the 1930’s and before that for larger veins. The solution irritates the lining of the vessel, causing it to swell, stick together and the blood to thicken. 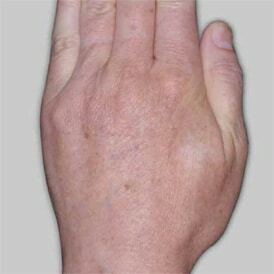 Over a period of weeks, the vessel turns in a scar tissue that is absorbed, eventually becoming barely noticeable or invisible. The solutions available are slightly different and the choice of which solution to use depends on several factors including the size of the vessel to be injected. Your provider will choose the solution that is best for your particular case. Occasionally larger varicose veins are underneath or associated with the spider veins. 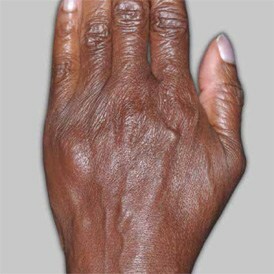 In such cases, some physicians believe these vessels should be treated before the spider veins. 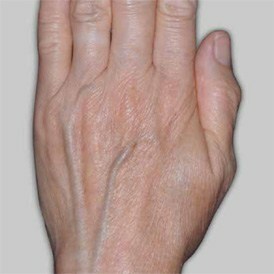 This can be done by sclerotherapy, intervascular lase, or radiofrequency, followed by compression. After several treatments, most patients can expect a 50 percent to 90 percent improvement. However, fading is gradual, usually over months. 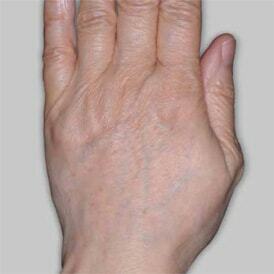 Disappearance of spider veins is usually achieved, but similar veins may appear in the same general area. Even with a highly experienced physician performing the treatment, there are some possible side effects. We recommend scheduling a consultation with one of our provider prior to the treatment. Surgically tying veins off (ligation), or pulling them out (ambulatory phlebotomy), are other procedures for treating unwanted blood vessels. These methods are usually reserved for larger varicose veins. Dr. Abrams recommend to bandage the injected areas and instruct patients to “compress” the treated vessels by wearing support host. This help seal the treated vessels, keep the blood from collecting under the skin, and reduce the development of dark spots. It also helps reduce the number of treatments necessary, and the possibility of recurrence.